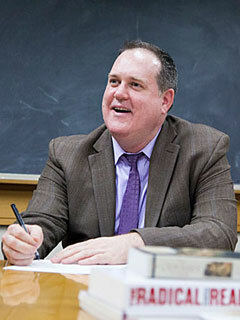 Timothy Patrick McCarthy is a lecturer on history and literature and on public policy at Harvard University, where he directs the Sexuality, Gender, and Human Rights Program at the Carr Center for Human Rights Policy. An award-winning scholar, teacher, and activist, he is a co-editor, with John McMillian, of The Radical Reader: A Documentary History of the American Radical Tradition and of Protest Nation: Words That Inspired a Century of American Radicalism; a co-editor, with John Stauffer, of Prophets of Protest: Reconsidering the History of American Abolitionism; and the editor of The Indispensable Zinn: The Essential Writings of the ”People’s Historian”, all published by The New Press. He lives in Cambridge, Massachusetts.